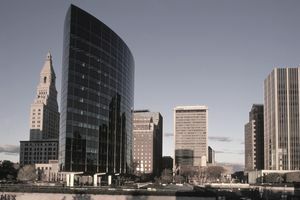 As a property investor in the state of Connecticut, you must understand the landlord-tenant laws that apply to you and your tenants. Rules governing the handling of a security deposit are an important part of these laws. As an important note, these laws apply on a statewide level. You should always check with your local municipality to determine if different rules may apply. Yes, there is a maximum amount landlord can charge tenants as a security deposit in Connecticut. For tenants under 62 years of age, a landlord can ask for a maximum of two months’ rent as a security deposit. For tenants who are 62 years of age or older, a landlord can ask for a maximum of one month’s rent as a security deposit. If a tenant 62 years of age or older has paid a security deposit in excess of one month’s rent, that tenant can request that the landlord refund them the difference. How Must You Store the Security Deposit? In the state of Connecticut, upon receipt of a security deposit, a landlord is required to put this deposit into an escrow account in a financial institution in the state of Connecticut. Since this is an escrow account, the security deposit is always considered the tenant’s property, so this money cannot be claimed by any of the landlord’s creditors. This account must bear an interest rate equal to or greater than the average interest rates of the saving deposit accounts of commercial banks in the state of Connecticut, which will be determined annually by the banking commissioner, and which can be no less than one and a half percent. The banking commissioner will publish this rate in the Department of Banking news bulletin no later than December 15 of each year. The landlord is required to pay the tenant the interest accumulated on their security deposit on the anniversary of their lease agreement and upon lease termination or must credit this amount to them as future rent. If the tenant is more than ten days late in paying their monthly rent, the landlord is not required to pay the tenant the interest earned on the security deposit for the month. The tenant will not lose this interest if, according to the terms of the lease, there is already a late fee in place for late payment of rent. In Connecticut, a landlord is not required to provide the tenant with written notice after receipt of the security deposit. What Are Some Reasons You Can Keep a Tenant’s Security Deposit? Other charges associated with violating the terms of the lease, such as unpaid utility bills. Connecticut landlords are not required to perform a move-out inspection prior to a tenant move-out. When Must You Return It? A landlord has 30 days from the day a tenant vacates the unit to return a tenant’s full security deposit or the balance of their security deposit plus any accumulated interest unless the tenant has not provided the landlord with a forwarding address. In this case, the landlord must return the tenant’s security deposit within 30 days of tenant move out or within 15 days from the time the tenant provides the landlord with the forwarding address, whichever is later. The landlord can make deductions from the security deposit for any damages or other failures of the tenant to comply with the terms of the lease, but the landlord must include an itemized statement listing the nature and amount to repair said damage or delinquency. If the landlord fails to comply with these rules, they may be liable to pay the tenant double their original security deposit. If the landlord has failed to pay the tenant the interest owed to them, the landlord is only liable for paying double the accrued interest. What Happens If You Sell Your Property? If ownership of the property is transferred, the landlord is responsible for transferring all security deposits plus any accrued interest to the new owner. The new owner of the property is then responsible for storing the security deposit in an escrow account and for returning the tenant’s security deposit less any applicable deductions according to state and local laws. What Is Connecticut’s Security Deposit Statute? If you are interested in viewing the statute that governs security deposits in the state of Connecticut, please refer to Chapter 831, Connecticut General Statutes 47a.-21.